Sunday: Family reunion: still stuffed from all the goodies! I know, not totally thrilling this week...trying to clean out the fridge. 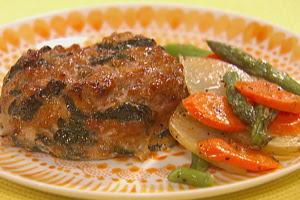 I make the mini turkey meatloaves all the time, we love them!